I don’t consider myself particularly crafty. I’ve tried to pick up knitting a few times, but my scarves always ended up as pot holders because I’ve never had the patience to see it through to the end. I prefer something that offers more instant gratification and requires slightly less dexterity: sewing. Though I’ve limited my sewing to infinity scarves, aprons, pillow cases, and a few somewhat janky Kindle covers, I’ve toyed with the idea of taking on a more tasking project and starting my very first quilt. 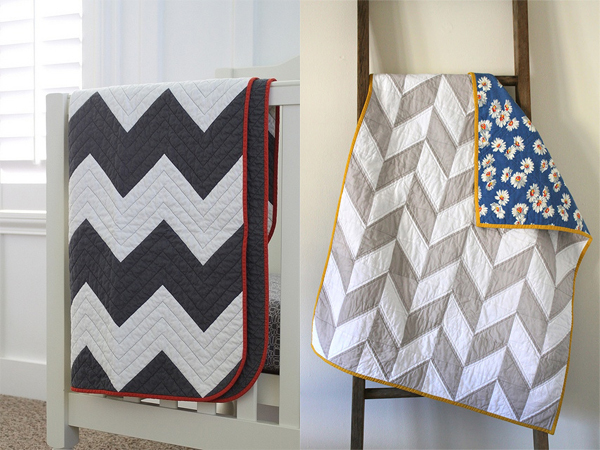 I should probably start with something small like a baby quilt, though this patchwork chevron quilt is incredibly tempting.